(AFP) - Nigeria's military was on Thursday told to remain impartial in upcoming elections, as the main parties traded accusations and tensions mounted about possible violence and vote-rigging. Defence spokesman John Agim told reporters the armed forces reaffirmed "its neutrality, impartiality and strict adherence to professional conduct" before, during and after the vote. He promised "zero tolerance to unprofessional conduct", including fraternising with political parties. "Any military personnel who is not on essential duty that is found on military uniform on election day will be arrested and face the full wrath of military justice system," he added. Africa's most-populous country votes on February 16 in elections that see President Muhammadu Buhari stand for a second term against former vice-president Atiku Abubakar. 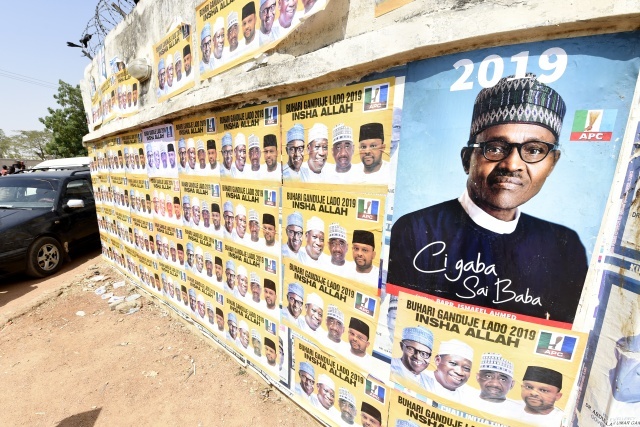 Fraud accusations and violence have marred elections since civilian rule was restored in 1999 but observers say the 2015 election in which Buhari triumphed was free and fair. This time, Abubakar and his main opposition Peoples Democratic Party (PDP) have accused Buhari's ruling All Progressives Congress (APC) of trying to rig the vote. The APC has countered by alleging the PDP is looking to foment unrest. Nigeria has had six successful military coups since independence from Britain in 1960, leading to decades of army rule that blighted development and fostered corruption. Buhari is a former army general who ousted the civilian leader in December 1983 and headed a military government for some 20 months. As civilian president, he has been accused of using security agencies to target political opponents. Nigeria's military are officially uninvolved in politics but are deployed across the country to tackle major security crises, including Boko Haram Islamists in the northeast. Allegations persist that Nigeria troops carry out abuses against civilians in the areas in which they are deployed.